Six men were banned for two days, and one man arrested and charged for breaching that ban, following reports of anti-social behaviour around the bus stops on New Beetwell Street. It followed calls about a large group of people had gathered near to the escalator and entrance to The Pavements shopping centre at around 11.30am on Monday, February 27th. Six men, aged between 28 and 52, were banned from the area for 48 hours using police dispersal powers to target anti-social behaviour. One of those men returned the next day (Tuesday, February 28th), and was arrested. 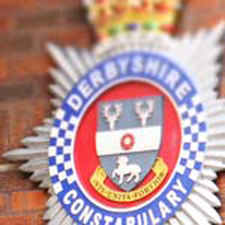 Adam Devine, 30, of no fixed address, was later charged with breaching the dispersal order and is due to appear before magistrate's at Chesterfield Justice Centre on Thursday, March 16th. The area around the bus stops on New Beetwell Street is being targeted by officers on the Chesterfield Safer Neighbourhood Policing Team as a priority due to ongoing concerns of anti-social behaviour and disorder. Inspector John Turner, who is in charge of the Chesterfield Local Policing Unit, said: "We are aware of the increase of people gathering and making a nuisance of themselves around the bus station on New Beetwell Street during the day, and many people who are making their way to and from the town centre find the behaviour of some unwanted and unpalatable. "We have and will continue to target those who behave anti-socially through the powers we have available. I would like to emphasise that this is not about targeting homeless people or rough sleepers per se; work is ongoing with partnership agencies including the Chesterfield Community Safety Partnership and appropriate charities to support and help those who are homeless. That said, appropriate enforcement action will be taken if offences are committed. I will not allow drunkenness, vomiting, and general disorder to become the norm in that area for members of the public who wish to simply catch a bus home." Insp. Turner added: "The issue has been an on and off problem for several years and previous efforts to change the bus station to make it a less inviting place to gather unfortunately made little progress. "Much investment has provided extra CCTV coverage, but the problem continues despite many convictions resulting from footage we have had available. We have set up a meeting with several of our partners, both public and private, who have an interest in resolving this issue next week to discuss changing, where possible, the infrastructure of that specific area to prevent such behaviour. "In the meantime, the location continues to be the highest priority patrol area for the Chesterfield Town Centre Safer Neighbourhood Team." To report anti-social behaviour, or if you would like to contact the Chesterfield Town Centre Safer Neighbourhood Policing Team, call 101. In an emergency you should always dial 999.